Notes: The Old Navarino castle (Greek: Παλαιό Ναυαρίνο) is a 13th-century Frankish fortress near Pylos, Greece. It is one of two castles guarding the strategic bay on which it sits; the other is the Ottoman-built New Navarino fortress. 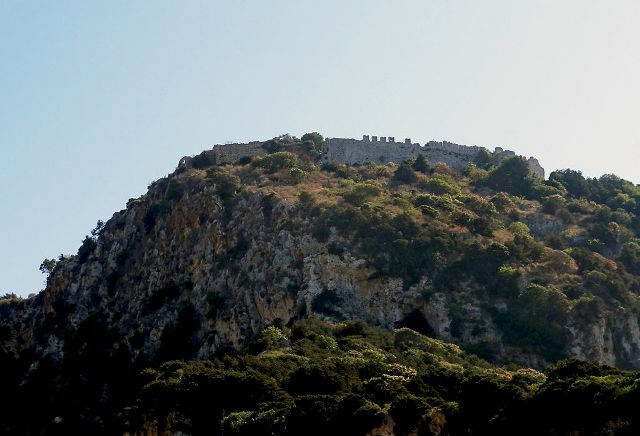 In juxtaposition with the latter, it is frequently known simply as Palaiokastro or Paliokastro (Greek: Παλαιόκαστρο or Παλιόκαστρο, "old castle").